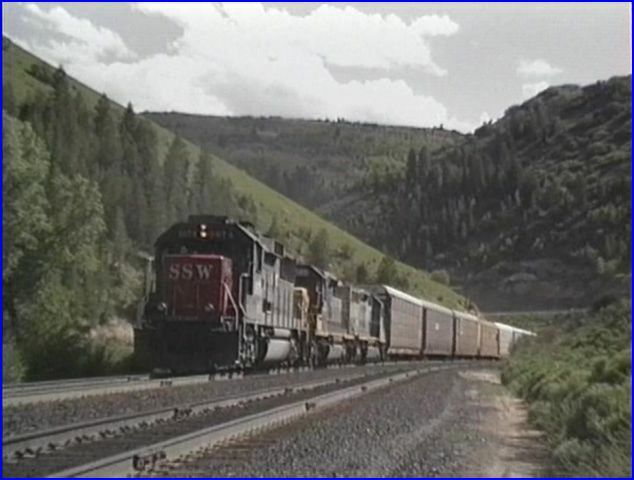 Charles Smiley covers Denver & Rio Grande Western trackage from Price to Provo, Utah. A distance of 82 miles. Scenic mountain terrain. There are always many extras on his shows. 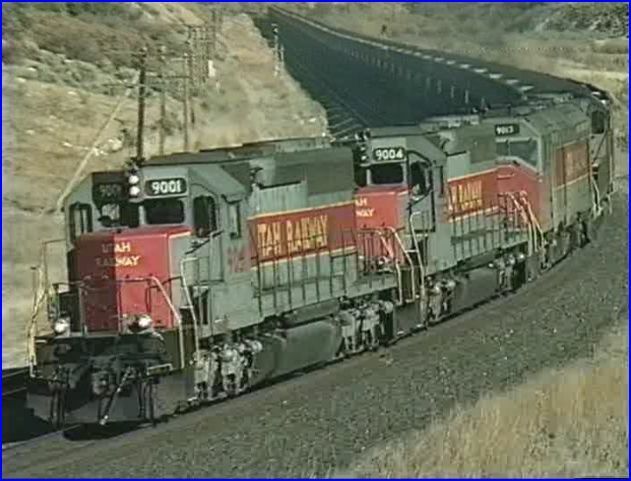 Extensive coverage of Utah Railway, that includes vintage Alco power at work. 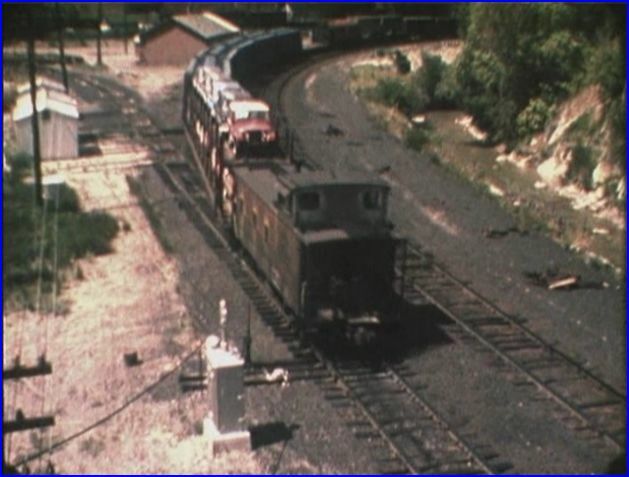 Even more, with Rio Grande branchlines. A look at the Rio Grande Zephyr. Denver to Salt Lake City Memorable DRGW locomotive helpers are also covered. Fast paced and loaded with train action. This program visits numerous locations in Utah. 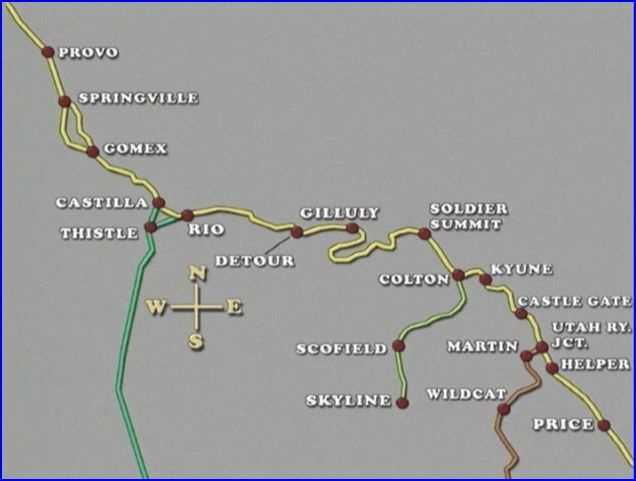 Tehachapi Loop, Los Angeles, and Tennessee Pass are a few other places. 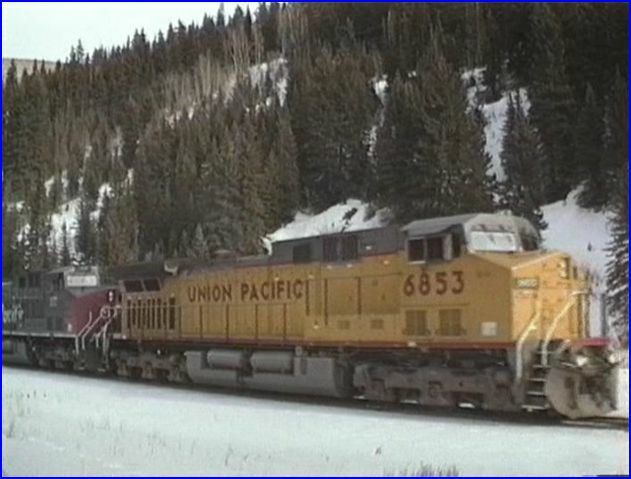 Rio Grande SD40T-2 pair at Helper, Utah in January, 2000. Tunnel motors were real workhorses on DRGW and Southern Pacific. Kansas City to Oakland Forwarder. 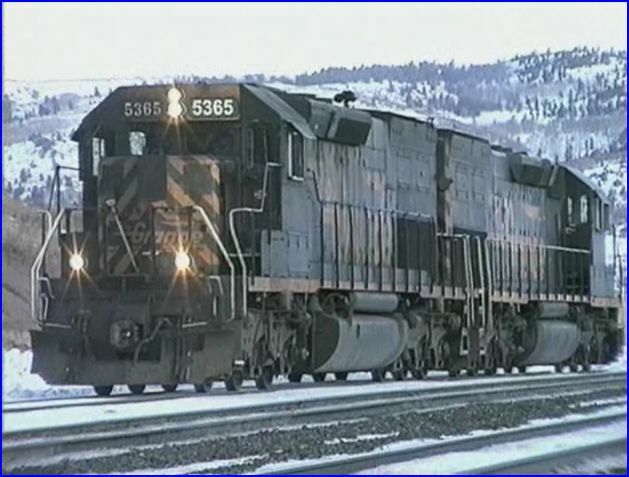 Primarily a coal program, there are some through freight trains. Locomotives are a centerpiece, with Rio Grande as the main attraction. Southern Pacific and some Union Pacific appear. Foreign roads include BNSF, CSX and Norfolk Southern. A handful of assorted vintage cameos are woven into the story. 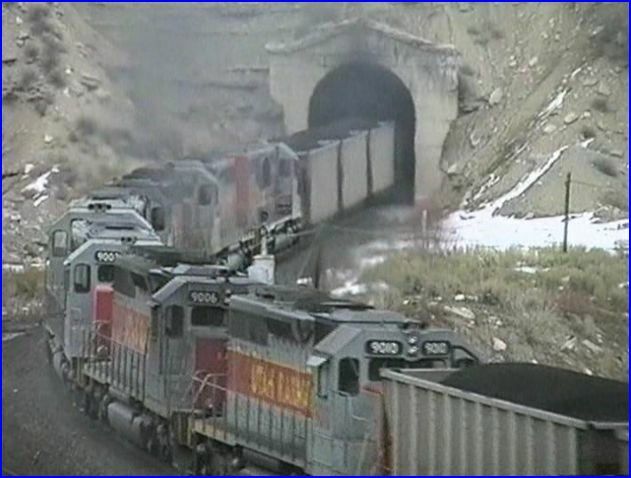 BNSF exercising trackage rights in Utah. Fascinating narration is a hallmark of Charles Smiley. Audiences will find a wealth of, historical and contemporary information. Operations of railroads and the industries they serve, add to the educational nature of the programs. Coal is the major commodity here. The best view of Castle Gate, and clearly a great choice for this formation. Resembles something akin to Lord of the Rings. 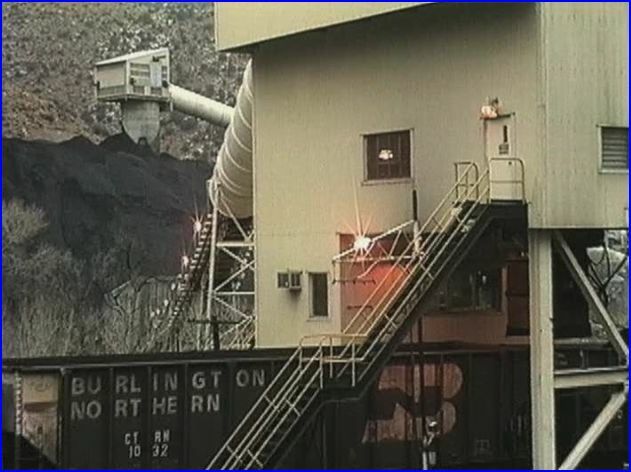 Footage of coal loading here, is a must see. The combination of vintage 8mm film, and modern video provides a fine basis for the show. Image quality on the video is excellent. Film sources are good to very good. Still photographs have additional viewpoints. Environmental audio, lets viewers hear the diesels operate. Smooth editing, which eases scene transitions. Professional edits are one of the little things that go nearly unnoticed, when done correctly. Custom made maps are used to orient viewers. They are more elaborate on his more recent shows. Frequent looks at the maps are a big plus. Branchlines are covered with greater detail. Thistle is now a ghost town. 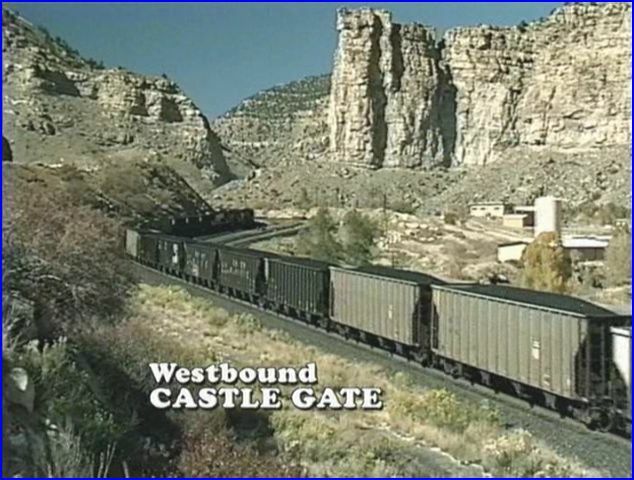 Utah Railway receives extensive coverage. Vintage and contemporary scenes that display older Alco power along with 2nd generation EMD locos. SD40 types dominate the roster. 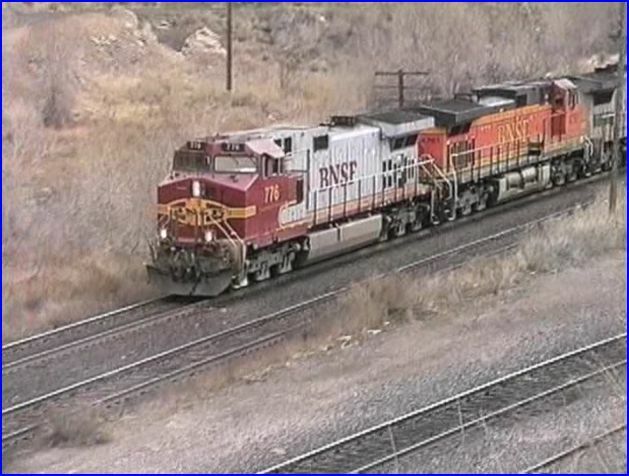 GP38, SD35 and an ex: SF F45 are seen. Martin has the headquarters and main shop facilities. Provo is another key location. GE AC4400 units operate on lease as well. Coal loading facilities are visited. One has the inside perspective from the control room. This one is at Castle Gate. Plentiful supply of shots, that capture the scope of a modern mine facility. Informative discussions that explain loading process. Rio Grande helpers on a light engine move. Awesome, mid- train helper sets are needed to move the heavy trains. Rio Grande Zephyr on a pace sequence. An onboard camera has interior and out of the window shots. Thistle, Utah was a town destroyed after a major landslide. Soldier Summit Reflections has a fine overview of railroad operations. Plenty of variety and attention to detail, will keep viewers happy. 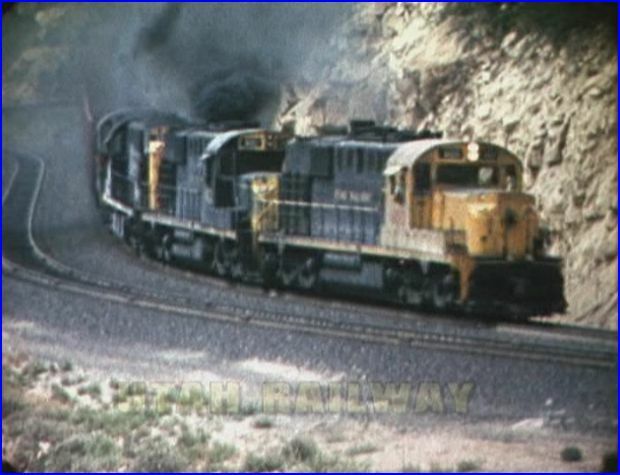 Model railroaders can benefit from the coal loading features. The Wasatch Mountains add character. Railfans can see an intriguing mix of locomotives. 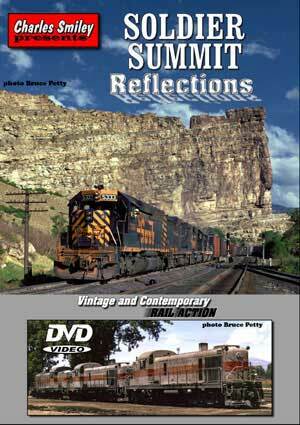 Charles Smiley has combined many elements, to create a professional railroad video show. 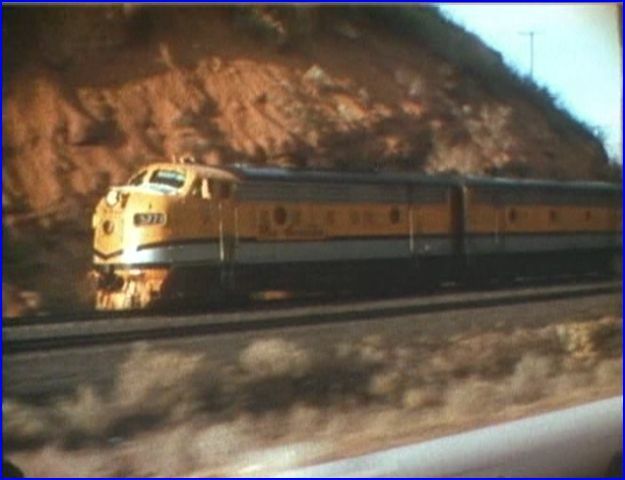 This entry was posted in Charles Smiley Presents and tagged American Train Video Reviews, Coal, Railroad, Rio Grande, Southern Pacific, Train DVD, train video reviews, transportation, Union Pacific by William J. Hudson. Bookmark the permalink.